We are uniting a range of experiences, expertise, and personal backgrounds around a campaign to end the use of solitary confinement (“disciplinary confinement” or “segregation”) in the Rhode Island detention centers and the prison/jail. The effects of segregation and solitary confinement are profound: many people experience extreme mental and physical health effects while in segregation. The practice is very expensive and associated with higher recidivism rates. This local campaign builds upon our people’s histories of grassroots activism and decisive Federal action and pressure to end this horrific practice. 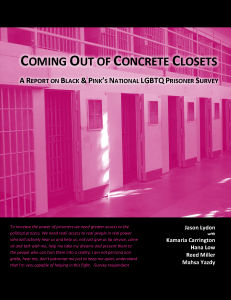 In Black and Pink’s national survey, Coming Out of Concrete Closets, ending solitary confinement was identified as one of Black and Pink inside members’ immediate goals in our fight to abolish prisons. This call inspired Black and Pink Providence inside members and free world allies to push for this in Rhode Island. What’s going on in RI? 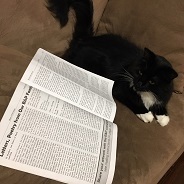 There is a current bill (2016-H 7481) that is being proposed in the Rhode Island State House – more info on this bill and it’s introduction available on here. This bill is modeled on a recently introduced New York bill that limits the use of solitary confinement, creates therapeutic alternatives for people with mental illness, and prevents certain classes of people from being placed in solitary. We note that this bill is an important starting point for limiting the use of solitary confinement, especially for people with physical disabilities, mental illness, younger and older populations, and LGBTQ people. We hope this bill can be a tool for us in our immediate goal to reduce harm and ultimate goal to end solitary confinement in Rhode Island. What can I do to help #EndSolitaryRI? The short-term goal of the #EndSolitaryRI Coalition is to strategize around the recently introduced legislation. Testify at or attend the bill’s hearing time/date TBD at the State House in March. Please contact us if you may be interested in testifying so we can prep together. Follow facebook.com/BlackandPinkPVD or email EndSolitaryRI@gmail.com to get updates about future actions, including the announcement of the bill’s hearing date. Spread the word and gather stories – the lives of currently and formerly incarcerated people drive our fight! Donate – Donations will be used to fund future actions for #EndSolitaryRI. 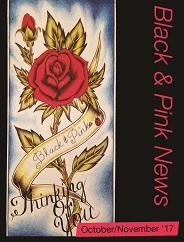 Money may also be used by Black and Pink PVD to support our incarcerated and formerly incarcerated LGBTQI members in RI.